Another week has flown by and the weekend is once again here! 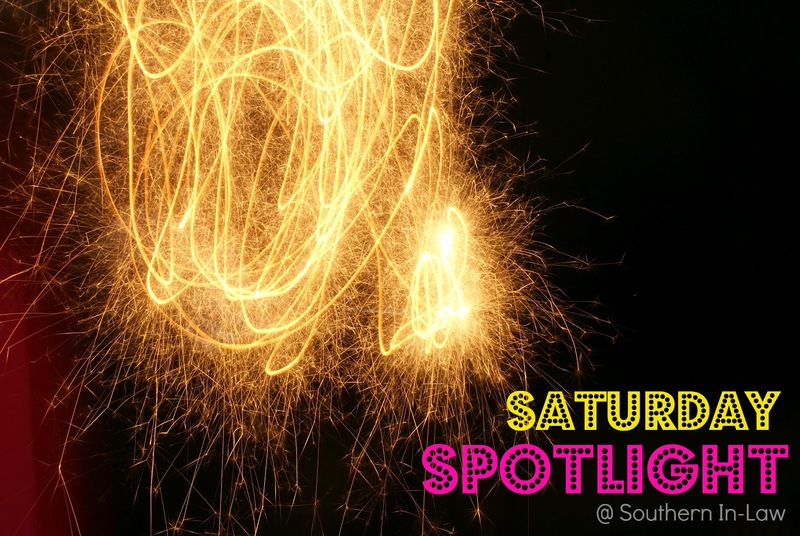 This week I've been lucky enough to have both of my recipes on foodgawker, but now it's time I turned the spotlight onto someone else! This week's Saturday Spotlight is on one of my favourite companies and my number one supplier of gluten free foods, iHerb! When I first went gluten free I found it both incredibly hard and incredibly expensive to find gluten free products in Australia that also didn't contain ingredients I was intolerant of. Thankfully, I was recommended iHerb by a friend and it was literally life changing. I made my first order with iHerb and was so impressed that I still continue to make monthly orders today. Australia is a bit behind with gluten free food and when I first cut gluten out there really weren't that many options I could have. Now the market has increased and there are fabulous products available in stores, however, I still head to iHerb to buy gluten free goodies as well as ones I pick up in-store. The prices are so good that it often works out cheaper to buy things on iHerb and pay the shipping than it does buying the same thing in Australia. I regularly buy gluten free foods and supplements on iHerb and have never once been disappointed. because there's only so many apples a girl can eat! When we headed to Louisiana in May, I knew I needed to have some foods I knew I could eat available as I have so many food intolerances it can be tricky to find agreeable options. Thankfully iHerb saved me a lot of stress and searching as I made an order before I left to be delivered to where I was staying. It was lucky that I did because it meant I wasn't going to 5 different grocery stores and searching the shelves right after traveling for 24 hours. This is pre PB smothering, of course! I'm actually waiting on an iHerb order at the moment, which should arrive on Monday! Truth be known, each time I get an iHerb order delivered, I do a happy dance before opening the box. But it's especially exciting as every order I make, I try to buy at least one new to me product! I have always been an oatmeal fan, so when I first went GF and I found out oats contain gluten I was devastated. Gluten free oats aren't yet available in Australia, so for months I went without oats and chose gluten free hot cereal instead - but it wasn't the same and I still longed for my oats. Thankfully iHerb started stocking gluten free oats and I haven't been without them since. They're perfect for traditional oatmeal, baking and overnight oats. This is my favourite peanut butter for sandwiches (yes, I'm a peanut butter addict who has specific peanut butters for specific uses). This is especially good for peanut butter sandwiches on raisin bread - also known as the best combination ever. It's sweetened with agave and low GI and the added flax also means it contains ALA omega 3. Crunchy flax is my go-to base gluten free cereal. 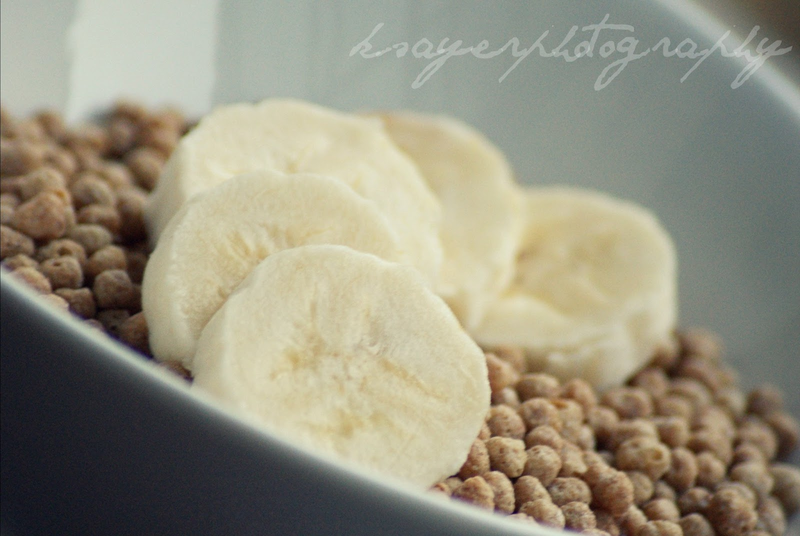 It's a plain base cereal that's perfect for adding whatever toppings you feel like. For me, I love adding sliced banana (frozen is even better) and peanut butter. This was one of the cereals I bought while in Louisiana and Jesse's family thought I was just the slightest bit odd to put peanut butter on my cereal - but I don't know how I ever ate cereal without toppings! It's super crunchy, doesn't go soggy in milk and tastes great so it ticks all my boxes! With all my food intolerances, protein powder is a big no-no but I still wanted a way to add extra protein into my food. 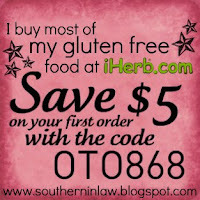 I saw peanut flour on a number of blogs so of course when I saw it on iHerb I ordered it! I now order the big bags regularly because I'm kind of addicted. I love using it in baked goods, stirring it into yogurt, making it into a paste with vanilla or maple syrup and adding it to smoothies. Each 1/4C serving of peanut flour contains 16g of protein and it tastes great so it's a fantastic addition to any food! These are just some of my favourite iHerb buys, but I have so many more. I love the variety iHerb gives me so I'm a huge fan. The other fantastic thing about iHerb is the prices, you won't feel like you're spending millions and you really get your moneys worth. The service is fantastic to, my order always come within a week (or a few days if I order it early in the week) - all the way from the US! So tell me, are you an iHerb fan? What's your favourite product? anything you think I should try? I was not given anything by www.iHerb.com for this review. All of the opinions stated are my own - I am just an extreme fan and thankful for the variety iHerb has given me when it comes to food choices. I didn't know that about oats. I will have to get some GF ones as I do use them as a binder in veggie burgers. I didn't know Earth Balance made peanut butter - sounds yum! Definitely ordering some of that! Definitely seek out the GF oats. The reason regular oats contain gluten is that the oats are planted in fields where they rotate oats and wheat/other gluten grains - thus they're contaminated. I know some people have no trouble with regular oats, but I have definitely had reactions so I cut them out completely and only use GF certified oats - so far I've had no problems! The earth balance PB is delicious! They also have a new coconut peanut butter which combines coconut butter and PB and I am desperately waiting for iHerb to add it to their range so I can buy some!